Clearly, these men were not ignorant of what all Israel was awaiting, especially in the light of the Roman Occupation of their Land. YHWH in Deut 18: "... I will put My words in his mouth"
Jesus in John 12: "... the Father ... has given Me a command as to what I should say and what I should speak"
YHWH in Deut 18: "... he will tell them everything I command him." YHWH in Deut 18: "I will hold accountable whoever does not listen to My words that he speaks in My name." Jesus in John 12: "The one who rejects Me and doesn’t accept My sayings has this as his judge: The word I have spoken will judge him on the last day." "... and that He may send Jesus, who has been appointed for you as the Messiah. Heaven must welcome Him until the times of the restoration of all things, which God spoke about by the mouth of His holy prophets from the beginning. 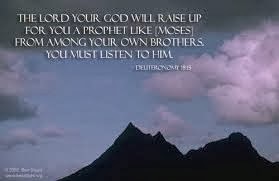 Moses said: The Lord your God will raise up for you a Prophet like me from among your brothers. You must listen to Him everything He will say to you. In addition, all the prophets who have spoken, from Samuel and those after him, have also announced these days. 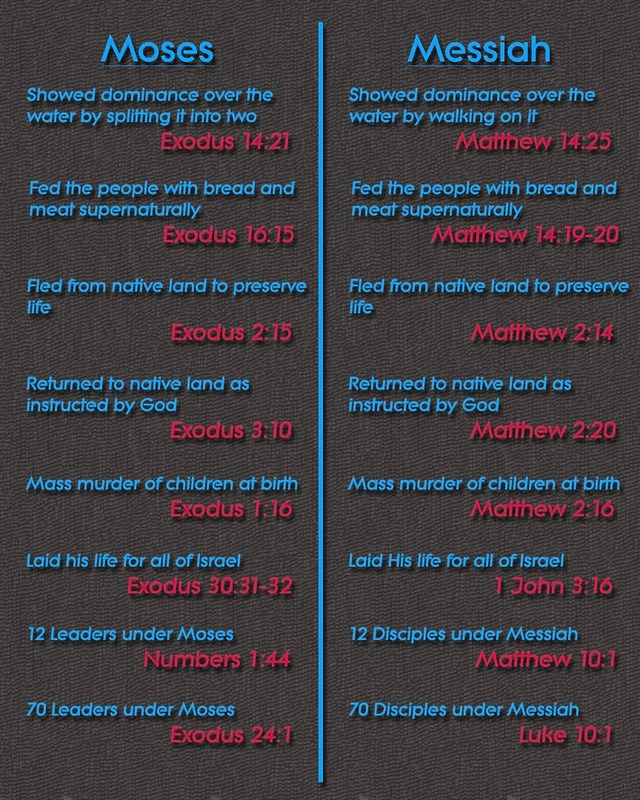 Jesus fulfilled all of these prophecies completely. No one else could. Jesus came in the name of YHWH. Had anyone brought a message to Israel in the name of another god, Moses would have immediately had him put to death. YHWH did not tolerate the presence of false prophets among His People. Despite all of the above evidence and in clear contradiction of Scripture, some are now claiming that either Muhammad or John the Baptist is the prophet of Deuteronomy 18. 12 and for all the mighty acts of power and terrifying deeds that Moses performed in the sight of all Israel. - neither Muhammad nor John the Baptist did any miracles at all.